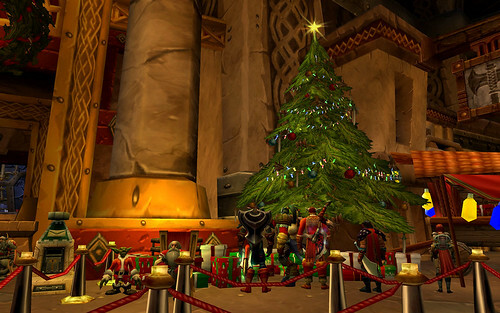 Another Winter Veil miracle! 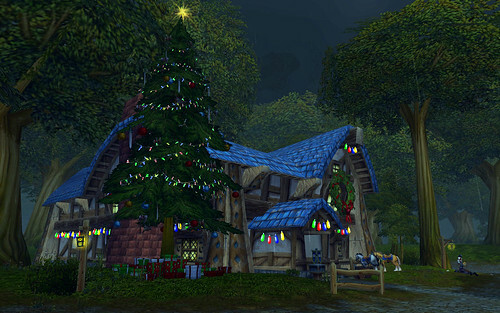 Rain in Goldshire! 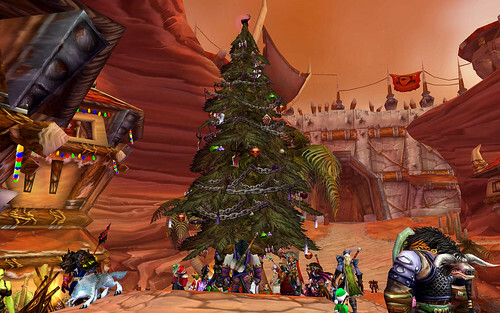 Silvermoon City embraces all “lifestyles” — not surprising for a city of blood elves. 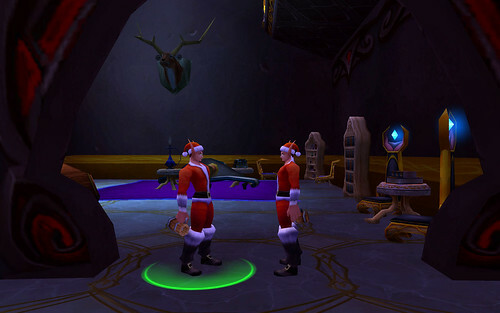 If you want to kiss an NPC under the mistletoe for Winter Veil goodies in that town, be prepared to kiss a dude. And, on this day of both avarice and generosity, we remember to count our blessings. 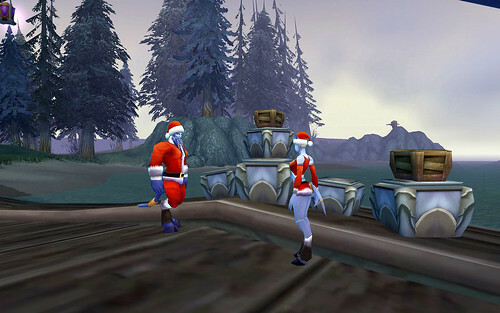 For example, you should be grateful that the male draenei NPCs don’t wear short shorts.